Packing that requires heat resistance, oil resistance and chemical resistance. Chemical plant corrosion-resistant packing, gaskets, diaphragms, tank linings, hoses, pump components etc. It was a very good product. It was saved because it can be used in various places. This review is about item#09353556. Used as a lever packing for Coleman petrol stove 508A in conjunction with a red silicone O-ring of the same size. The gasoline leak has stopped and the repair is complete. This review is about item#9353242. This review is about item#09353486. I didn't find the size I wanted and I made a compromise, but I was able to play a role, so I was saved. Although a large number of instructions have become the factor of choice, it is better to mention the wear resistance. This review is about item#09353617. Used as repair parts for motorcycles and cars. Based on heat resistance, weather resistance, and gasoline resistance, we use fluoro rubber as a replacement part, and it can be obtained cheaper than genuine parts. This review is about item#9353425. It is usable without a problem. As there are few kinds in home center, we are thankful for assortment! This review is about item#9353477. Although we used Monotaro products, we were not able to use cheap Monotaro products because the rules for "fluorinated rubber limited" were enacted by our business partners. So I bought in bulk at 10% off. 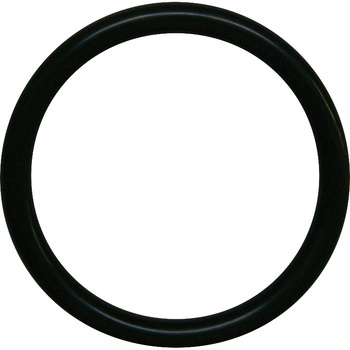 Please give a fluoro rubber O-ring by all means with Monotaro products. This review is about item#9353382. It may not be used originally, but it can be used without problems. This review is about item#9353434. As there is no single item sales for the valve fixed part of SIP tubeless wheel I arrived by searching for various things. It is better to replace at the time of tire replacement as it will deteriorate and cause air leakage while you do not know. This review is about item#9353267. As O ring which was attached to OCV of favorite car became old, we replaced. Good! ! ! This review is about item#9353355.